Avitra expanded its technical arm by adding Infologic Pte Ltd to its fold when it acquired the company from Tyco in 2005. Infologic traces its roots to its incorporation in Singapore in 1992. Today, Infologic is a trusted name and leading supplier of Information Display Systems (IDS) and Audio Control System (ACS) using its own proprietary software. 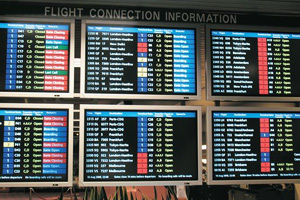 More specifically, its products include Flight Information Display Systems (FIDS) for airports; Passenger Travel Information System (PIDS) for bus and train stations and Digital Signage for commercial buildings and banks. 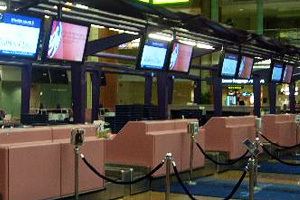 Infologic successfully secured and implemented its products and extended services to some major airports, train stations, bus terminus and buildings around the world, notably, Singapore Changi Airport, Beijing Capital International Airport, Brunei International Airport, Bangkok Survanabhumi International Airport and Don Moung Airport, Guangzhou Baiyun International Airport, ShenZhen BaoAn International Airport and Bangladesh Osmani Airport. An Infologic system has a guaranteed up-time of 99.5%, although 99.9% is usually accomplished, even for large systems. FIDS can be equipped with a hot-standby computer unit, to minimise the consequences of hardware system failure. For large applications a distributed system architecture is available, using a series of down-sized, cost-effective network-linked computers. If one of these computers fails operation, another takes over its function automatically.